This Sunday, the Mueller report. After 675 days, it's now in Attorney General Bill Barr's hands. The Justice Department is alerting Congress that the investigation is over. So what happens now? Democrats are demanding transparency. Absolutely imperative that the Trump administration make that report public. That report needs to be made public. As the president spends his week appearing agitated over the coming report. There was no collusion. There was no obstruction. Everybody knows it. It's all a big hoax, as I call it, the witch hunt. What's in the report? How much will the public see? Will there be a court fight? My guests this morning, the Chairman of the House Judiciary Committee, Jerrold Nadler of New York, and Republican Senator Marco Rubio of Florida. Plus, no new indictments cheers the president's supporters. If there's no collusion that was found, then it strongly vindicates President Trump. But is Mr. Trump's real fear what the report might say about possible obstruction of justice? Also, why the Mueller investigation may explain what's behind the president's continued attacks on John McCain. I was never a fan of John McCain, and I never will be. Joining me for insight and analysis are NBC News White House correspondent Kristen Welker; Dan Balz, chief correspondent for The Washington Post; former Senator Claire McCaskill of Missouri; and former Congressman Carlos Curbelo of Florida. Welcome to Sunday and a special edition of Meet the Press. 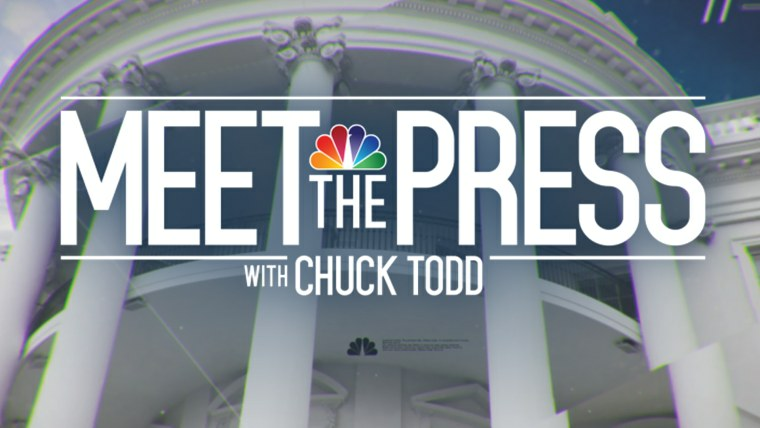 From NBC News in Washington, the longest-running show in television history, this is a special edition of Meet the Press with Chuck Todd. Good Sunday morning. Well, the wait is over. And now, we wait again. Attorney General Bill Barr could send Congress a PDF file of Robert Mueller's "principal conclusions," put that in quotes, as early as today. For nearly two years, we have been waiting, speculating, and anticipating, lots of unanswered questions, for Mueller to complete his report. And now that he has turned over his conclusions to Bill Barr and recommended no new indictments with that report, we're waiting, speculating, and anticipating and, yes, with still lots of unanswered questions. For instance, how much of the report will Barr release to the public and to Congress? Will Democrats be satisfied with what is made available? Or will they go to court to get supporting evidence that Mueller has gathered? Will President Trump claim executive privilege to prevent the release of parts of the report? What does the report say about possible obstruction or collusion? And are those two things intertwined? Since the Department of Justice guidelines holds that a president cannot be indicted while in office, if Mueller has found evidence of criminality, will the public ever know the evidence? Will Mueller testify before Congress himself? And if Barr testifies, how soon will that happen? And ultimately, will supporters or opponents of President Trump be satisfied with whatever is made public? The long-awaited Mueller report has just been submitted. Robert Mueller's work is over. After a 675-day investigation into Russia's interference in the 2016 election, and after criminally charging 34 people, including six former Trump associates, Robert Mueller delivered his report. Now, it's up to Attorney General Bill Barr to decide what to do next. I will commit to providing as much information as I can, consistent with the regulations. But Barr has discretion. And Democratic leaders of the House and Senate are already issuing warnings, preparing for a battle over executive privilege. The president himself has called, without qualification, for the report to be made public. And Democrats are making transparency a 2020 issue. Barr should be called to testify under oath, before the United States Congress. Make that report public as soon as possible. Ultimately, I believe this will be decided at the ballot box in 2020. The president and his allies have claimed they want the report released. Let it come out. Let people see it. That's up to the attorney general. Just put it all out there. Put it all out there. How about, don't redact anything? Still, for nearly two years, the president has been relentless in his opposition to the Mueller probe. A deputy that didn't get any votes appoints a man that didn't get any votes. He's going to write a report on me. Will the report say anything about possible obstruction of justice? From Mr. Trump's firing of F.B.I. Director James Comey, back in May of 2017, to the misleading statement, dictated by the president, that Donald Trump, Jr., provided about the June 2016 Trump Tower meeting with Russians connected to the Kremlin. The president repeatedly berated then-Attorney General Jeff Sessions for recusing himself in the Russia probe. The attorney general says, "I'm going to recuse myself." Floated the idea of firing Mueller. I know that he's conflicted. And I know that his best friend is Comey, who's a bad cop. Called the investigation a witch hunt on Twitter at least 183 times, and suggested, along with his lawyers, pardoning his former aides. I have not offered any pardons. And I think they asked, or whatever, "Would you?" I said, "I'm not taking anything off the table. Now, Democrats, who have delayed questions about impeachment, saying they are waiting for Muller, will be pressed to decide. Are you worried that talking impeachment could hurt candidates for reelection in 2020? I didn't believe in it then. I don't believe in it now. It divides the country. And joining me now, from New York, is the Chairman of the House Judiciary Committee, Democrat Jerrold Nadler. Congressman Nadler, welcome back to Meet the Press, sir. And joining me now from New York is the chairman of the House Judiciary Committee, Democrat Jerrold Nadler. Congressman Nadler, welcome back to Meet the Press, sir. Well, we anticipate getting something from the attorney general today about the principal conclusions of the Mueller report. What do you believe is the definition of "principal conclusion"? -- president accountable. If we don't do that, if we can't do that, then the president, effectively, is above the law. All right. Well, that brings us to this ambiguous phrase, right? "Executive privilege." And I'm just curious. Who gets to decide -- who gets to arbitrate this? Is this up to the attorney general? -- of those people to hold him accountable. Do you already have enough evidence? Do you need to see the Mueller report at this -- you have these -- you have the indictments that Mueller has issued. You have the narratives in those indictments. So you have pieces. You know exactly, a lot probably, of what's going to be in this report. Sounds like you already believe there's enough evidence out there to prove obstruction, for instance. I think we have to see all the evidence. And there may be evidence that goes the other way. There might be evidence that tends to be exonerating. We need to see all the evidence. And we don’t -- we shouldn't have to waste our time and the public's time and money recreating the same information by interviewing all the same witnesses. There's no need for that duplication at all. What did you make of -- how did you interpret the no new indictments decision by the special counsel? Well, I don't know how to interpret that at this point. First of all, the special counsel, we know there are lots of investigations going on by other agencies. The Southern District of New York, the Eastern District of Virginia, et cetera. And there may be indictments from them. So the story is not over. We don't know. And beyond that, we don't know the reasons. Again, that's one of the reasons we need and the public needs to see the report. Will you accept Bob Mueller's conclusions in the report once you read the whole thing? I assume Bob Mueller, being a very good and thorough professional, that he -- that there will be good and adequate documentation and reasoning in the report to support his conclusions, in which case we'll certainly accept them. If I'm surprised and there isn't adequate documentation or reasoning, then we'll have to look at it. If he concludes though that just couldn’t -- he didn't find evidence of collusion here, does that make you temper some of your investigations? I don't think it tempers the investigation. We have to look at what, whatever loose ends there are, and we have to look at whatever we don't know. Do you plan on calling Bob Mueller to testify before your committee? If necessary. But that's a very big if. Why do you say you wouldn't want to hear from him? I'll be honest. As an American citizen, as a taxpayer who helped pay for this report, part of me would like to hear from him directly. Well, yeah, that would be -- that would be very pleasant. But the fact is that he’s got a -- he gave us a report. He speaks through that report. If that report answers all our questions, there will be no need to call him. And if that report is all public. If that report is not public, if large parts of it are not made public, or if it leaves a lot of questions, then we have a necessity to call him. You don't call witnesses unnecessarily. You're only going to call him if you feel as if the Justice Department isn't giving you the report? Or if we think there are questions we have after reading the report. How closely are you working with your Senate committee colleague on the judiciary side of things, Lindsey Graham? I ask that because it is judiciary that is dealing with this. Is there any way you two can work together? Or is the politics too hard? Well, I don't know. We're going to be trying that. We haven't really worked together very much yet. But we'll see. Senator Graham believes there needs to be an investigation into how the FBI handled the Clinton investigation as well as the Trump investigation. Would you ever be open to something like that? No, I think it's totally unnecessary. When the Republicans controlled the Judiciary Committee and the Oversight Committee in the House in other words last year, they did an extensive investigation of that and found nothing. Just a lot of innuendo. The -- as far as we can tell, the Hillary investigation was done professionally and properly. And the Mueller report had its genesis in information about Russian interference in our elections. Final question. You had put out document requests to some 81 entities and individuals. I feel like at the beginning of the week you said you were starting to get some cooperation and then it was clear the White House isn't cooperating. Is a subpoena coming? Are subpoenas next? -- how much time you plan on giving them before you then consider subpoenas? Not off -- not off the top of my head, but we'll act when we have to. Chairman Nadler, it's the beginning of what could be an extraordinarily long year for you and a lot of us. Anyway, Chairman Nadler, Democrat from New York, thanks very much. And joining me now is Republican Senator Marco Rubio of Florida, who by the way sits on the Intelligence Committee, which has its own investigation into Russian interference. Senator Rubio, welcome back to Meet the Press. I want to start with the Wall Street Journal, in the weekend opinion section, said essentially didn't trust Congress nor the president not to leak pieces of the Mueller Report and basically says, "You know what? Release the whole thing, as much as possible." Is that where you stand? Absolutely. In fact, I want to see all of it. What was the criminal -- what was the underlying criminal predicate for the entire investigation? Let's see the FISA applications because this is an extraordinary use of government surveillance power and we have legal reasons why you might be able to use it, but show us what those were. What was the underlying predicate for those FISA applications? Let's see all of that. Let's put all of that out there as well so we can pass judgment about how the, how the investigation was conducted, or at least the predicate for the investigation was conducted during the Obama years. You know, one of the things that I think is difficult for the public is going to be does the president get to see the report before Congress? And in order to decide about executive privilege, it does seem as if that's a rabbit hole that potentially the attorney general would have to go down. How do you prevent that? Well, first of all, you know, prosecution and everything that has to do with prosecution and counter-intelligence, that's an executive function. And so, frankly, the president does have the power to fire the prosecutor. He does have the power to prejudice an investigation if they so choose. And there's a remedy for that. For number one, the president is politically accountable, and second of all, the president, if they've done things or abused power, they can be impeached and if the someone -- if the House wants to make that argument, then they can. That hasn't happened yet. But I think that's separate from the Mueller Report and separate from what's going to be released to the public. I would suspect that at the end of the day they are going to release the report. They're going to redact intelligence information or classified information, and they're not going to put things in there about people, that is damaging to people that they chose not to prosecute. But that's not unique to the president. That is the way the Justice Department handles every case. They don't go out there and smear people and then say, "But we chose not to prosecute them anyway." Right. Now, this Special Counsel Provision was written with a floor of transparency, not a ceiling. So, it is up to the discretion of the attorney general. Would you recommend to the president not to invoke executive privilege here? Well, it really depends on what it is it's going to be invoked on. I mean, there are things, like internal deliberations inside of an administration, that you don't want out there because then it becomes difficult for the president to talk to people. But I would certainly ask the president to lean towards transparency because I've been very clear from the very beginning. I wanted the Mueller probe. I wanted it to be conducted without any interference because I believed, and I've said this. You can go back to the tape and find me saying this now for two years, that when it was all said and done, the best thing for the country and for the president is for this probe to move forward and to be concluded. And that's what's happened now. And so, we want to learn as much as we possibly can, that's allowed and permissible under Justice Department policy, and of course the law of the country. What does the end of the Mueller Report mean for the Intelligence Committee's investigations? There had been -- there was some -- you needed the Mueller Report before finishing some of those conclusions. What does this mean going forward now? -- something they might say say in order to get them in might conflict with the report. So, the end of this means there really should be nobody out there that we should not be allowed to bring in. And there shouldn't be anybody out there that we shouldn't allow to interview fully, especially that Mueller has wrapped up and said he's not going after anybody else with any new charges. So, there's really no reason for no one to be able to come in now and talk to us. Because I have you here, I want to switch over to some national security issues. I want to first talk about, ask you about North Korea and the confusion about new sanctions that Treasury Department issued. The president putting out this tweet, "It was announced today by the U.S. Treasury that additional large-scale sanctions would be added to those already existing sanctions on North Korea. I have today ordered the withdrawal of those additional sanctions." When asked for an explanation from the White House, Press Secretary Sarah Sanders simply said, "President Trump likes Chairman Kim and he doesn't think these sanctions will be necessary." It was a 24-hour rebuke. What does this incident do for the reliability of the United States on sanctions regimes overall? Well, I've never seen that before from this or any administration, so something happened here. Those things have to usually be approved. In fact, I know that they are. They go through a long interagency process, signed off on by the president. So, something happened between the time it was announced and the time that the president put out that statement. I don't know the answer, to be honest. I don't know why he would do that or why it happened the way it did. It's unusual. It's never happened before. Does it -- does it at all introduce any concern that -- will he be there – you know, look, you have talked him into doing more in Venezuela than I think a lot of people expected. Do you trust him now on Venezuela, considering what he just did with North Korea? Yeah, it's a little different obviously. I mean, the president is, has been involved in now two one-on-one negotiations with North Korea. Let me just say this about North Korea and the president's engagement. I have -- I would love for Kim Jong-Un to give up his weapons and everything else. I would. And I don't criticize the president for trying. I just never believed he would. I don't believe he ever will. This is a young dictator who has to figure out how to hold onto power. So, I'm not skeptical because I want it to fail; I'm skeptical because I believe it will fail. Now why -- how this happened, look, you have to ask the White House. I don't know how they issued this and then suddenly he changed his mind. I don't know the rationale behind it. Maybe it was a good reason. But it certainly is not the way it's normally done. But obviously the concern among some national security folks is, "What does this mean? We're trying to get more of the world to align on sanctions when it comes to Venezuela and Maduro. Yeah. So, on this part, at least with North Korea, it's not helpful, right, to have the Treasury Department go out and do something that's been vetted and discussed. Unless somebody made a mistake at Treasury and got ahead of themselves, it doesn't make any sense why they would put something out there, and a few minutes or a few hours later, the president revoke them. It doesn't make a lot of sense that that happened that way. And frankly, look, I think people around the world would look at it and say from now on, when they hear about sanctions, they're going to want to know if -- they’re going to ask for double confirmation from the White House, you know. So, look, I wish it hadn't happened that way, and it shouldn't have happened that way. Before I let you go, I want to ask you about the attacks by the president on John McCain. I know how you feel about John McCain. I'm not, I’m not questioning that. But let me read you something in the Post. "Inside the powerful and populist wing of the party that is most loyal to Trump, McCain is not a revered war hero, but a useful foil, encapsulating everything his core voters have come to loathe about establishment Republicans. By attacking McCain, the president is stoking his supporters' rawest emotion and suspicions about the GOP's political elite." What is it about John – is this -- what portion of your party so loathes John McCain that they cheer this? There is a chunk of it. Do you understand it? No. I don't. You know -- first of all, John McCain's not here to defend himself, so that first and foremost is a reason not to use him as that. Second of all, I don't get it. I don't understand it. I didn't agree with John McCain on everything, you know, so what? I mean, but I honored and I respected the service to our country and his time in the Senate. I always felt he did things that he, he felt passionate about and worked hard on behalf of those things. Whether you agree with him or not, I knew why he was doing it. It wasn't for some nefarious purpose. He was a man who was deeply influenced by his experience and by the things he went through. I was an admirer of John McCain as a man, and a lot of the things he did in the United States Senate. So, no, I don't understand that feeling about him and I don't think, frankly, he is the person that should be singled out for these attacks. And it’s – I don't get it. I don't understand it. And frankly, I don't know how it furthers anything in terms of what we're trying to get done. At the end of the day, my job is to represent the people of Florida and serve the country. And I don't know, you know, why any of this furthers that objective for me or anybody else out there. I think you're not alone in that aspect there. Senator Marco Rubio, Republican from Florida, I've got to leave it there. I appreciate you coming on this morning. When we come back, many of the president's supporters are claiming victory, even before the report is made public. But there's a lot more that we don't yet know, including if there is evidence of obstruction of justice. That is next. Welcome back. Mike Allen, of Axios, wrote yesterday that there are two kinds of, quote, "collusion delusion." One, the belief among President Trump's most-ardent supporters that no collusion indictments means the president's witch-hunt claims have been vindicated. And a second, he wrote, "The bitter reality that this probe has spawned many others, stretching far beyond Russia —so it's delusional to think it simply ends with no collusion.” Joining me now to look at some of the legal implications of the Mueller report, Ari Melber, MSNBC's chief legal correspondent and host of The Beat on MSNBC, and former senior F.B.I. official Chuck Rosenberg. Ari, I want to start with you. The no new indictments, with the conclusion of the Mueller report, was greeted as a, as a moment of vindication by, by the president's most-ardent supporters. Why shouldn't they feel good, at least about that fact? They can feel somewhat good. Because it shows that Bob Mueller did not find a chargeable election conspiracy, not against Donald Trump, and not against people around him. So that tells you something. The reason why I think President Trump has remained quiet, and most people are still waiting, is the report could ultimately surface a lot of other bad material about poor judgement or even attempted crimes, without charging them. Chuck Rosenberg, principal conclusions, okay? You've worked in the Justice Department. You know how different people interpret different phrases. What's your sense of what Bill Barr means by that? You expect a very narrow scope here. Reasonably narrow, because he promised it so quickly, and because there's a lot to work through, before you can decide whether all that other stuff can be public. Obviously, the big question is, it's collusion versus obstruction. And can you come to a collusion conclusion, apologies for that alliteration, if obstruction took place, Ari? You definitely can shed more light on, what were the reasons that Donald Trump seemed to repeatedly interfere with these probes, instruct people to mislead or lie. Was there something underlying? And the theory had been, well, that might be this election conspiracy, collusion. It might also be other related problems that national security officials care about or that Congress cares about that are not what has been called collusion. For example, if somebody high in the government owes a foreign power a lot of money, and that has corrupted foreign policy, that's a big deal. But that might not be the kind of thing a special counsel charges. All right. We’ve seen -- we have an array of issues, in public, that we've covered that have led to some people believing an obstruction charge won't actually even be that difficult. You've got his suggestion to Comey to drop the Flynn probe. You've got the firing of Comey, when he cited "the Russia thing," ordering the White House counsel to fire Mueller, calling for the attorney general to fire Mueller, dangling the possibility of pardons. This is the public record. Do you expect Mueller, if he -- do you expect him to be so focused on his charge that he lists the evidence without making a conclusion, meaning, he'll list all of the obstruction evidence, and basically, Chuck Rosenberg, it's up to you to conclude whether that's obstruction? -- and characterizing what you find. And what do you expect him to do? I worked for the man. I expect him to describe what he found. I expect him to describe it in detail, but not to characterize it. Because that becomes something in the eye of the beholder. And so it will be for us and for Congress and for journalists to decide what Mueller -- whether what Mueller has found amounts to obstruction. He will describe it. He will lay out the evidence. He will give you an evidentiary foundation. I believe it'll be for others to characterize. That leads to the political challenge, I think, for the House Judiciary Committee. And I think that's why you heard some hesitance in, in Jerrold Nadler. Absolutely. Ultimately, the materials that come from Bob Muller to the Congress, whether that is sooner or later, are going to put forward questions of whether this president abused his power in such a way that the Congress wants to do something about it. And that's significant, even in the absence of collusion indictments. So you have both things happening, Chuck. On the one hand, people who had long assumed or hoped that this president clearly and legitimately obtained the presidency, those individuals, it's time to acknowledge, there is no chargeable collusion. And yet, on the other hand, the House is going to have to consider the facts presented about potential obstruction. Let me get to executive privilege here. Because this, to me, is this rabbit hole. How do you know what to assert as executive privilege without reading the report? There's this odd tension here, right? The Justice Department is part of the executive branch. The president runs the executive branch. The attorney general of the United States reports to the president. If there's stuff in that report, put aside classified information and grand jury information and all those other categories. If there's stuff in that report over which executive privilege can be genuinely, legitimately asserted, someone's going to have to see it, before they can make the assertion. I assume that means White House counsel is going to go through the report and see whether or not an assertion is valid. Remember, though, privileges are qualified. They can be overcome. They've been overcome in the past. And it may be overcome here. Jerrold Nadler seems to think that the White House has no case here. Do you think they have a case? Voluntarily, though. And the White House's lawyers had always said, they reserve the right. They say they reserve the right. But this was a lawful process. No judge ever rejected the investigative tools. And so short of something very special, for example, something Donald Trump put in his own written answers, subject to his own, as you say, qualified statement, that he later wanted to revoke it, it's hard to see the bulk of this being subject to executive privilege. Chuck, you have a way of reminding us of things we're not focusing on here. What is the part of the Mueller report that you think is going to be more important to people that we're not discussing? Well, there are parts of it that are really important. Because remember, at essence, it's a counterintelligence investigation, right? What did our adversary, Russia, do to us in the 2016 election? And what do they hope to do to us down the road? Is that investigation wrapped up? The counter-intel -- Does that mean that that's also wrapped up, too, the counterintel investigation? I'd be surprised, if that were wrapped up. And here's why. This is an ongoing struggle between Russia and western democracies. And so they didn't stop doing what they do when Bob Mueller finished his report. And so whether it's Mueller or the counterintelligence division of the F.B.I. or the rest of our intelligence community, this is a serious, ongoing concern. -- and letting the Congress or everyone else make judgements. -- your expertise with us this morning. When we come back, the politics of the Mueller report and the looming fight over how much should and will be made public. Panel is next. Welcome back. Panel is here. Quite a bit to talk about. Former Florida Congressman Carlos Curbelo, now an NBC News political analyst; former Missouri Sen. Claire McCaskill, also an NBC News political analyst, first time Meet the Press panelists. Welcome. Nice to see you. NBC News White House correspondent Kristen Welker; and Dan Balz, the chief correspondent for The Washington Post. I'm going to let Peter Baker set up the conversation for us. Here's what he wrote after the release of the report. "Once released, the Mueller report will transform the political landscape, fueling calls for the president's impeachment or providing him fodder to claim vindication—or possibly, in this live-in-your-own-reality moment, both at the same time." I was thinking about this today. Carlos and Claire, you both were on the campaign trail in '18. Both were asked about Mueller all the time. And I'm guessing you both said, "We want to wait for the Mueller report." The Mueller report is here. How are folks in Missouri, you think, receiving it this morning? Yeah, I've got to tell you the truth. I think they're not as focused on it as we are. I think -- I honestly believe the people who will decide the presidential election in 2020, Mueller's not going to be at the top of their list. And I think that's one of the things that the candidates need to keep in mind, that this isn't as big a deal in people's lives as it is for all of us who have followed it very closely. Having said that, you know, I just think the Democratic Party has to be very careful here and focus on what's hiding in plain sight. Over 17 members of the Trump campaign, advisors or officials, had over 100 contacts with one of our biggest foreign enemies in the world, during the campaign. That is extraordinary. And 36 people were charged. And six of them were officials of the Trump campaign. Over 200 charges were brought. Focusing on the report, I think, we've got to be very careful and not lose sight that what the American need to be reminded of is, this is really bad stuff. So Carlos, what are folks in your old district going to be saying today? Well, number one, there are no winners here. The only winner is Vladimir Putin. The Republicans didn't win. Trump didn't win. And the Democrats didn't win. There is -- there is some good news here. And I think people in south Florida appreciate this. Our institutions did work. This -- this is a probe that the president did not want to see. He called it a witch hunt. It's clear that it was anything but a witch hunt. Bob Mueller was professional, deliberative, serious, sober in his approach to this. And now, this is going -- at some point, it's going to be made open to the public for people to analyze, to see and to opine on. This is a big deal. This is something we take for granted in this country. It does not happen in Venezuela and Cuba and other parts of the world. All right, where's the White House? Well, first of all, the president hasn't tweeted about this yet. He sent out a few tweets this morning, saying, "Have a great day." His advisors are saying, "Do not comment publicly." Will he listen? We'll have to wait and see. But they know it's just too soon to spike the football. And when you think about the scope of this, and this goes back to Claire's point, think about how many of his former advisors were cooperating with Mueller. You have Mike Flynn, Rick Gates, just to name a few. You have the Comey firing. You have his public statements about Russia. So they know that there's, potentially, the possibility that there is still damaging information in there. And I think that's why you are going to see a fight about how much is made public, ultimately, Chuck. Dan, I have to say, though, I think no matter -- I think the conclusions have been drawn by the public. I don't know. What would have to be in this report that, you think, would change the mindset of the public? Well, I have no idea, unless he lays out a case on obstruction of justice and is, in a sense, hands it on a platter to the House Judiciary Committee to go forward with it. I'm not saying we should expect that. I -- in fact, I expect just the opposite. I think it's what Chuck Rosenberg outlined, a very -- he'll put all the facts in there, and you decide if it is. Right. Right. And I think, on that front, people have already decided. I mean, I think that -- I think, Senator, you're absolutely right. For most people, this is not top of mind. And to the extent it is, they already know what they think about him and about what happened. And so I think the test, going forward, will be how the Democrats in the House handle the further investigations. So yeah, I think there's an important question here. So we know the president's base is never going to abandon him. But what happens to the Democratic base, if the worst that has come out of this is the indictments that we've already seen? We know that, for a lot of Democrats, this was going to be the way to get rid of Donald Trump. This was an instrument, the Mueller probe, to kind of overturn the 2016 election that a lot of people couldn't explain after it happened. If the worst that we see is these indictments, is that base going to be deflated? And also swing voters, right, those suburban districts that I know really well, those swing voters -- if Democrats try to take this into overtime, is the fatigue worse? And do people start abandoning Democrats? I think -- I think the Democrats -- I think your point's a good point. I think Democrats have to be careful. But you know, let’s -- you said, "This isn't like Venezuela." Let's be really clear here. If we -- if they use executive power and executive privilege to keep part of this from the public, what we've had in this country is a respect for the rule of law and a line between the executive power and the rule of law. Trump has crossed that norm and behaved in bizarre ways repeatedly. And if the report focuses on that, it is a little bit like Venezuela and these countries, where the president controls the rule of law. We don't let our president control the rule of law. And if he tried to here, I think it will have ending -- non-ending consequences for the president. Kristen, Emmet Flood is, basically, the White House lawyer that may be the one interacting the most with this. Is he going to --is he really going to be able to read this report before Jerrold Nadler? They really do get to think they get to see the report first. Constitutionally, I guess they do. They think so. Because they do think there are significant questions about executive privilege. Will that actually happen, though? We'll have to see. What is Barr going to do? That's a big question. To this point, I think that Democrats, that's why you have leadership saying, "We cannot start talking impeachment yet. It's too soon. It's going to backfire." All right, I want to bring up, because one way the president showed his agitation all week was to attack John McCain. It is directly related to Mueller. He somehow thinks that it's all John McCain that got James Comey to investigate. But here's a little bit of a taste of his increasing anger at McCain throughout the week. I was never a fan of John McCain, and I never will be. Not my kind of guy. Badly hurting the Republican Party, badly hurting our nation. He was horrible, what he did with repeal and replace, it is -- what he did to the Republican Party and to the nation. But you shouldn't have brought it up. Actually, I thought you weren't supposed to bring it up. But that's okay. You know, fake news. What's interesting there, the president not expecting the McCain question. I'll ask the two of you about McCain here. Because McCain is now better to invoke with Democrats than it is Republicans. And you can't invoke McCain with certain base Republicans. You heard Sen. -- you heard that. First, I want to ask you, what do the other senators really think, when they hear the president trash John McCain? It hurts everybody's heart. You know, listen. John McCain and I had battles. He battled with all of us at one time or another. But he was an incredible man and what he went through. I don't know what's wrong with this guy. How do you punch down to someone who was a POW and is dead the same week, you reverse sanctions against a guy, because you say you like him, who starves his people and kills his family for power? It is beyond weird. And I think it shows some real mental problems with this president that he feels the need to go after somebody who is dead. Carlos, there is a virus in part of the Republican Party that cheers this. They're excited when it happens. And they send crazy notes to Cindy McCain and Meghan McCain and people like that. You know why they're not. This -- well, at some point, you have to lead and not worry about whether or not you're going to get a primary challenge. And that's the biggest fear in Congress, I think, on both sides now, a primary challenge. No one wants to see that. But at what point do you sacrifice your core values, your humanity, to avoid a primary challenge? You shouldn't. That's a great way to end that -- end this segment. When we come back, we're going to change gears a bit. Democrats don't like the Electoral College. We've got a way to make it a bit more fair. So how could changing the electoral system change the results? That's next. Welcome back. Data Download time. A growing number of Democratic 2020 candidates are floating the idea of abolishing the Electoral College. No surprise, because in two of the last five presidential elections, Democrats have won the popular vote and still lost the election. Take 2016. Hillary Clinton got over 65 million votes, while President Trump got just under 63 million. But it was President Trump who won the presidency with 306 electoral votes over Clinton's 232. Now, the idea behind the Electoral College was to keep small states from being ignored by presidential candidates. But in reality, the presidential race is always decided by the battleground states. In 2016, just 14 of the most-competitive states received 99% of the campaign ad spending and 95% of visits by the candidates on the campaign trail. And it had nothing to do with population. Some were small, like New Hampshire and Maine. But some were bigger, like Florida and Ohio. What's more, not all electoral votes count the same. Since each state gets an electoral vote for each senator and House member, a small state, like Wyoming, with a population of only 577,000 people, gets three electoral votes. That breaks down to one electoral vote for every 192,000 people. Now look at the state of California, where nearly 40 million people get only 55 electoral votes. That is one electoral vote per every 719,000 people. But what if we made the number of electoral votes proportional to each state's population? Well, using Wyoming's standard of one vote per 192,000 people, it would keep its three votes. But California would wind up with a whopping 205 electoral votes. Now, do that for every state, and there would be almost 1,700 electoral votes in play, making the new magic number 850 to win. So would that have changed the 2016 result? Actually, no. Donald Trump would still have won. Now, there are other options. Electoral votes could be distributed proportional to each state's popular vote or simply by congressional district. But for now, at least the candidates will have to win the old-fashioned way. When we come back, the 2020 presidential race and Michael Bloomberg's complaint that Democrats are too quick to apologize, well, for anything. Everybody else, Beto, whatever his name is, he's apologized for being born. Joe Biden went out and apologized for being male, over 50, white. He apologized for the one piece of legislation which was actually a pretty good anti-crime bill, which, if the liberals ever read it, most of the things they like would be in that bill. They should've loved that. But they didn't even bother to read it. Welcome back. Time for End Game. And that was former New York City Mayor Michael Bloomberg this week, criticizing Democrats for going on what others have called an apology tour. Obviously, he decided not to run, not because he didn't want to be president, because he didn't think he could win in this Democratic primary. Claire McCaskill, what do you make of his comments? I think he's right on. I think strength wins. I think not apologizing. You know, Biden could've easily pivoted and said, "You know what was in that bill? Community policing, what we desperately need right now to reestablish trust in neighborhoods, between police and the people they serve." So you're with Michael Bloomberg. There were good things in there. You were a prosecutor at that time, right? I was the prosecutor, when that passed. Because of that bill, we were able to finally have the money to hire victim-services support for domestic-violence victims, so we could get them into court and put the perpetrators where they belonged. And so the problem is that, in this rush to be politically correct, they are leaving some strength over there, on the side of the road. And we've got to have strength, if we're going to beat this guy. We're not going to beat him with anybody. We're going to have to beat him with someone who reassures America that we can, once again, be envied by the rest of the world, instead of ridiculed, and that we can be strong and hold the middle. You wanted him as an independent. -- just maybe, there's a middle lane? Maybe there is a middle lane for Howard Schultz. It could've been for Michael Bloomberg. Dan Balz, I want to put up, Joe Biden's people have, obviously, been talking, perhaps, too much. Because we now know all of their hand wringing. On one hand, they're self-aware. Here are the different things he's thinking about, picking a VP early. Stacey Abrams was the name out there. Maybe it's a one-term pledge. If you like Joe Biden, you should be glad that he's thinking about all the ways that he could run into problems in the Democratic nomination. On the other hand, this is introducing your campaign by starting with your weaknesses. Yeah, I mean, it's an attempt to compensate for weaknesses. And I think that it is a recognition, on their part, that he has a lot that he has to answer for. Fairly or unfairly, the party is a different party than the party Joe Biden has grown up with and, in many ways, has defined, over different periods of time. And they have to wrestle with that. And I think the that the other question that they're grappling with is, how do you make somebody, who has been on the public stage for 40 years, put aside how old he is, at 76, how do you make a person like that seem fresh? Well, one way to do it is to run a campaign that's different than other campaigns have been run. And I think that's what they're trying to do. But I don't quite know what happened with the Stacey Abrams VP thing. But boy, they've had to roll it back quickly. If you need her, the joke should be, he may as well have offered her to be her running mate, at this point. That’s right. Right. And a lot of people are saying, "Look, the mere fact that this has gotten so much attention really undercuts his strength, as he potentially enters this race. Because it looks like a Hail Mary, almost, at the front end. And he's the leading poll guy, right. He's like, looking like, "Oh, my God. I might lose. I've got to try anything." The little fact check on that is I've been talking to people who are close to him. And they say, "Look. The reality is, that's not something that's being seriously considered right now." But they are considering half a dozen different things, as he enters this race. It's an acknowledgement of everything Dan was saying and, also, the fact that the field is just more progressive. How does he enter this field and fit in and change the narrative? I want to play Beto O'Rourke's response, yesterday, to the Mueller report. Take a listen to what he says. This is an unprecedented attack on this country and on our Democracy. And we are owed the facts. And if we do not receive them, 243 years in, there's nothing that guarantees us a 244th. Slightly alarmist there, referring to seeing the Mueller report. Beto O'Rourke, you served with him, Carlos. Claire McCaskill, is he ready to be your party's standard bearer? I don't know. I mean, you're asking me to pick the bracket for next year's tournament. Yeah? You don't even know if Missouri gets invited, right? Right, exactly, probably not. But the point is that this is going to be a time where we have a large field. And they're going to battle for inspiring people. They're going to battle for donors, especially low donors. They're going to battle for the living rooms of Iowa. And we'll see who emerges from this and if they are substantive. They have to be substantive. I mean, you can't be all show and no go. And Beto needs to get some meat on the bones here and not just be inspirational. Is he a moderate? Did you consider him a moderate, when you served with him? Oh, really? He's not a good cook? No, he is. He actually is. But he seems a little scripted. I think he needs to be more himself, be more authentic. All right. Thank you, guys. What a week. That's all we've got for today. Thank you for watching. Good luck with those brackets. Obviously, McCaskill's already out of hers. We'll be back next week for sweet 16 weekend. Because if it's Sunday, it's Meet the Press.